7:35 AM PT -- Law enforcement sources tell TMZ Simone was found hanging on a rod in the closet of her bedroom around 8:30 AM on Friday. 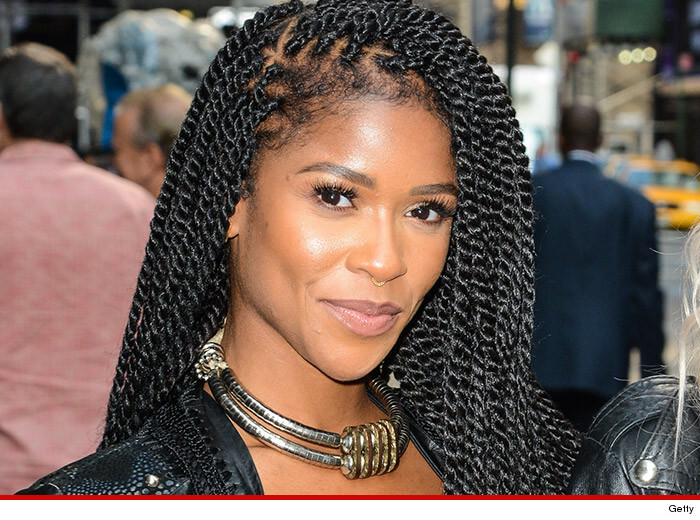 Singer Simone Battle, who rose to fame on the US version of "X Factor" ... was found dead in her Los Angeles home ... and TMZ has learned it appears to be a suicide. 25-year-old Battle was a singer in the girl group "G.R.L." ... which was the reboot of the Pussycat Dolls. She signed on with the group after her run on "X Factor" ... where she was a finalist, making it into the top 17. The L.A. County Cororner's Office tells us Battle's autopsy has not been completed yet ... so, nothing has been ruled out as cause of death. Simone's father told us she was found in the bedroom of her apartment in a West Hollywood neighborhood. He described her home as a guest house of a larger residence. In June, TMZ shot video of Simone and her 'GRL' bandmate Natasha Slayton. They were excited about their song "Wild Wild Love" with Pitbull.